Synopsis: Red Alexander’s sons believe they know him. He is a quick-tempered brick mason, a truth-bending baseball addict, and, in the eyes of his two eldest sons—Dale and Brett—a justly convicted killer. Only younger brother Scott knows the truth about the defining event that shaped all of their lives. Now, as the brothers struggle to become adults, they confront the father who for so long has worked to hold the family together by manipulating his sons’ perceptions of the past. 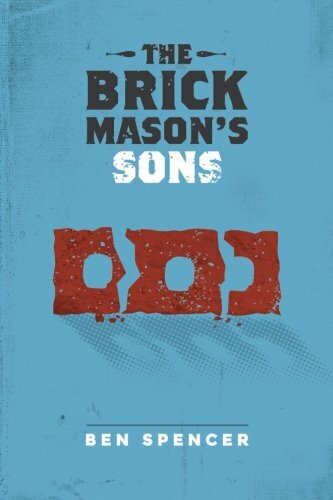 Why It’s Good: Ben Spencer’s The Brick Mason’s Sons is a slice of Americana we’ve needed for a long time. It’s an honest family portrait, one that digs deep into generations of our culture and dissects our jigsaw puzzle piece-by-piece, member-by-member. Spencer’s prose is as firmly rooted in realism as it is fantastical, stringing together both the hard, cold facts and surreal symbolism in a way that is beautiful, elegant, and so very humanizing. When we read The Brick Mason’s Sons, we’re glimpsing our friends, our relatives, and ourselves, and we’re seeing each one through each other’s eyes. The result is an objective view of our family, of Americana, of the world and all its working innards through the national pastime of baseball. With each swing of the bat, we see the grime and the machinery all around us, and we know where both came from. The Brick Mason’s Sons is a must-read for anyone looking to delve deep and understand humanity. It’s an adventure into the wounded soul, a quest for the life force we call “spirit.” Ben Spencer is Prometheus reborn, bringing down that fire to once again purify us all from darkness. Synopsis: A mother receives a diagnosis of bipolar disorder with psychotic features and it changes her life forever. What would you do? Is a mother always a mother, or just in the act of mothering? Author Katie Perttunen explores this question over the last five years her memoir, Bits. Why It’s Good: Katie Perttunen’s Bits is a collection about what it means to be human. It’s a sum of all of our parts, severed and segmented, and thrown in a blender to better lay bare the contents within. Bits is powerful, evocative and teetering on the edge. It’s both intimate and distant, pulling us close and pushing us back with each passage, waiting, with bated breath, for us to truly understand. The prose is raw and blunt. 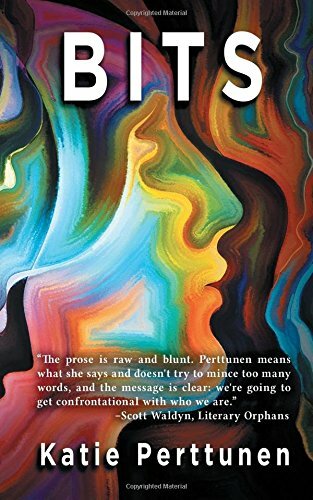 Perttunen means what she says and doesn’t try to mince too many words, and the message is clear: we’re going to get confrontational with who we are. We’re going to inspect all of the pieces of ourselves and come to a resolution. We’re going to truly get to know and accept who it is lurking behind those eyes of ours.